MatterMojo is targeted at law firms looking for an affordable cloud-based client and matter management solution. 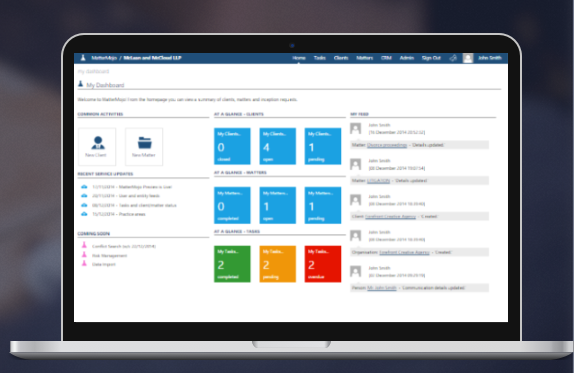 A cloud-based matter management system which allows law firms to manage clients, matters, inception, conflicts and risk via a simple but elegant portal. It also has contact and task management and a lightweight document storage capability. Integrates seamlessly with Office 365. Comments: This is a great productivity app for lawyers and I really like the user interface. You can quickly intake new clients and manage matters efficiently while on the move.